Finally, the dust settles, the battlefield stands still in the pre-dawn light, the only thing moving is a fetid smell that haunts these fields, clinging to it like a fat kid with a Snickers bar. It’s a smell you can’t quite place, sort of a cross between week old mutton and Orson Wells laundry. Even that doesn’t do it justice. All you need to know is that this, is a dark foreboding place, where an ill wind blows and pedophiles come to rot. There can be no good here, there has never been good here and more than being expected it is simply understood – there will never be any good here in this place. 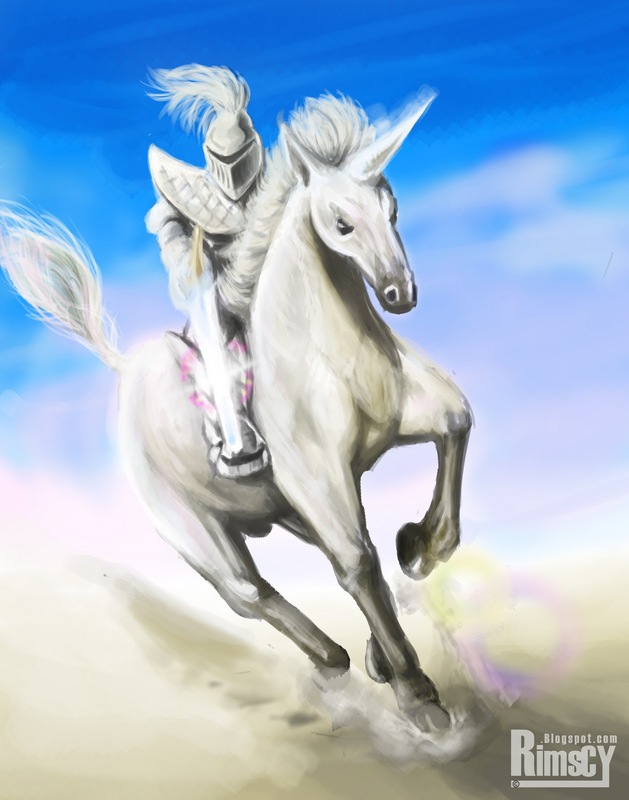 And yet LO, look yonder at the crest of that hillock – tis a truly astonishing sight, it’s a man, NAY it’s a god amongst men, in robes of silk and spun gold – atop a most magnificent white stallion. How they do thunder across the field, taking great and powerful steps, bounding across the wasteland at a most furious and impossible pace. See, see here, behind them do flowers and grass sprout anew, in ground too fallow to bear life previously, only by the man-gods mere passing over it does it now prove bountiful and fertile. Just how he likes his women. The pair are nearly upon me now, and where one was fear, tis now replaced by a warmth and profound calm. I fall to my knees in a display of humblest respect and as the deity lifts his golden suit of armour mask, do I – in wonderment see – he, is me. So yea, ummm, long story short, I’m feeling better. I will fill you in on the whole she-bang next post. ← BUT, Where’s the Nanny When you Really Need Her?